Hugo Boss brings his unique style sense and epitomises it in the form of a sleek stainless bracelet watch from his Essential collection. 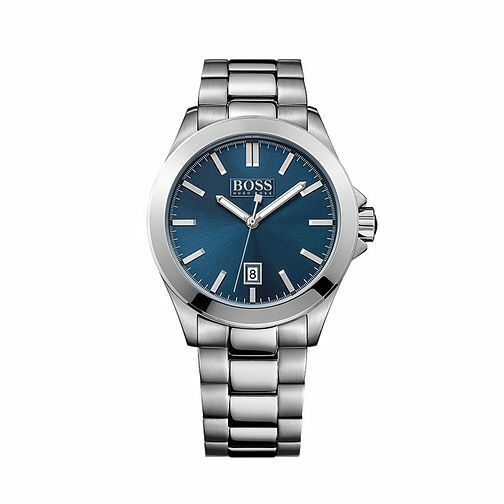 The blue dial is highlighted by a silver case and linked strap, while Hugo Boss’s signature stamp adds the final touch. Hugo Boss Essential Men's Bracelet Watch is rated 4.6 out of 5 by 5.